Featuring a woven scrim with a high-quality glass fibre weft and polyester warp, Floorwise tapes deliver maximum bond strength and stability for reliable seaming. Available for a range of carpet backings and traffic duties, these tapes provide a seam strength in excess of British Standards. “Even something so apparently simple as seaming tape needs to be carefully considered to make sure it delivers a reliable bond time after time.” Explains Richard Bailey, managing director, Floorwise. “We’ve made sure our heat seam tapes deliver reliability so that fitters can be confident that seams, a notorious failure point, are as strong as they can be. Highlights include the heavy-duty Supreme Gold F391 and Super LT, a tape designed especially for low-temperature bonding. 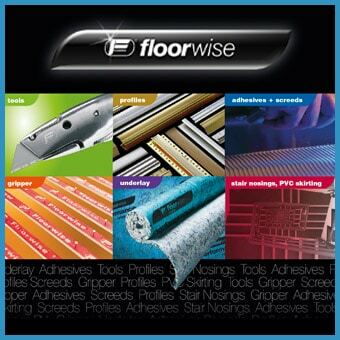 Delivering best-in-class performance, these tapes are available at Floorwise distributors throughout the UK and Ireland.